After blowing down the MTV Video Music Awards with a performance of her single “Should’ve Been Us”, Tori Kelly has hit the stage with big names Ne-Yo, Robin Thicke, Jeremih and Diddy. Today, the power-house songstress delivers more magic with her new single “Hollow”. “Hollow” is an emotion-packed tracked about an empty heart searching for love. “I don’t want to be the first one folding, I don’t want to be the joker,” she croons. “Tell me darling will you understand me, and not show me your cards,” she croons over the pounding stadium-sized drums. Earlier this year Kelly debuted with the amazing Unbreakable Smile. I’m looking forward to more Tori Kelly in 2016! 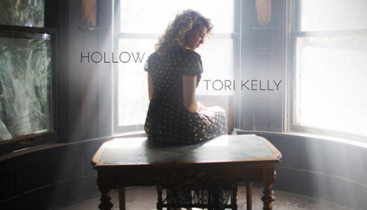 Check out “Hollow” below!